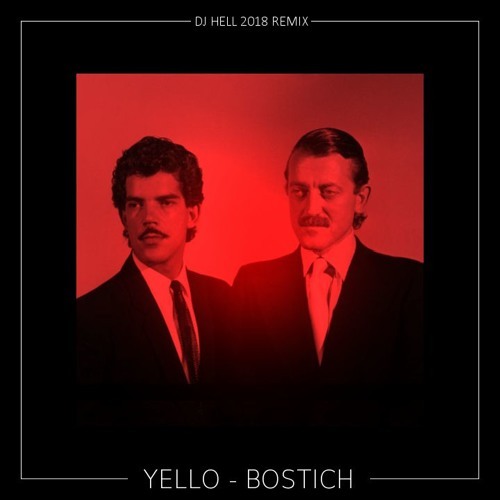 Buy here: https://www.beatport.com/release/bostich-dj-hell-2018-remix/2221663 As the start of the new year, International Deejay Gigolo Records presents the 2018 techno interpretation from DJ Hell of the Yello´s classic tune "Bostich". The electronic music pioneers Yello released the original "Bostich" track 1981as third single of their album "Solid Pleasure" and it became a worldwide clubhit. The new techno interpretation of DJ Hell reinforced the original vibe and adds a new deep and dark ambient. All tracks written, composed & produced by Yello Remix and Additional Productions by Alican Yuksel & Dj Hell in Istanbul ! Das Original war eigentlich ein Techno Track! Nur Helmut hat's erkannt! Superbe!